The Little Prince questions the universe in this story of innocence and wonder. When a chance encounter inspires Martin to reach out to those in need, he realizes that sharing is always in season. Philip gives a class report on dinosaurs, with the help of an animated chalkboard and Will Vinton's claymation dinosaurs. 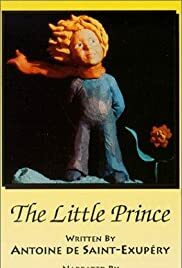 The Little Prince: If you please, draw me a sheep! But Mr. Vinton is truly imaginative with his drawings and effects recreating Exupery's world inhabited by a prince living on a planet and his rose and its volcanoes, along with the story's narrator, a pilot who crashed his plane on the boy's planet. Together, they try to uncover the mysteries and the meaning of life. Great sequences, accompanied by the voices of Cliff Robertson (as the narrator) and Michele Mariana (as the Prince; years later, she'd play one of many memorable voices of "Talk Radio", being Rhoda the most recognizable and fun role).